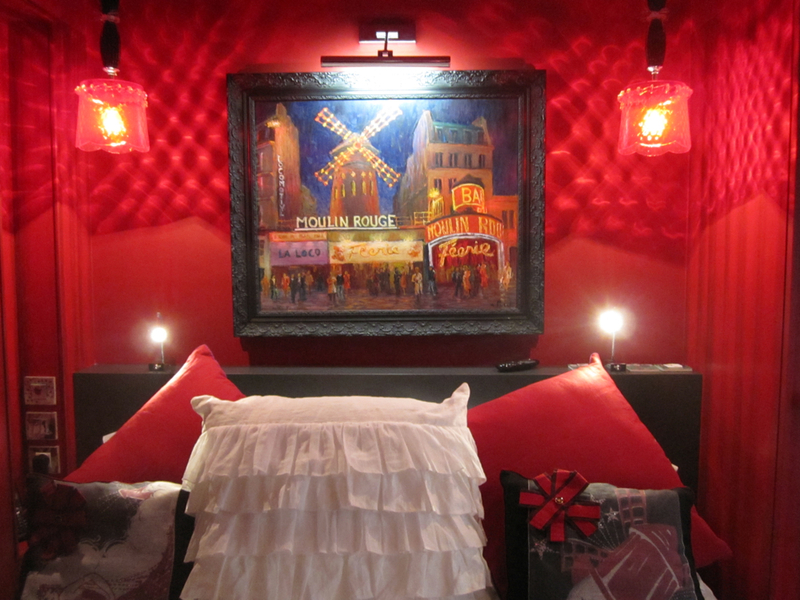 Have you ever dreamed of spending a night with your beloved one in a suite that looks like the Moulin Rouge? Or do you sometimes regret having missed a career as a dancer at the Paris Opera? Then, Le Pradey is the perfect hotel for you where you can immerse yourself in the universe you adore. I sometimes wonder if there are enough tourists in Paris to fill all those nice hotels in the heart of the city. But I guess there are. After the opening of several five star hotels, there are still some blanks to fill in. The Le Pradey (four stars) is a perfect example. It’s actually hard to find a place more Parisian than this one. 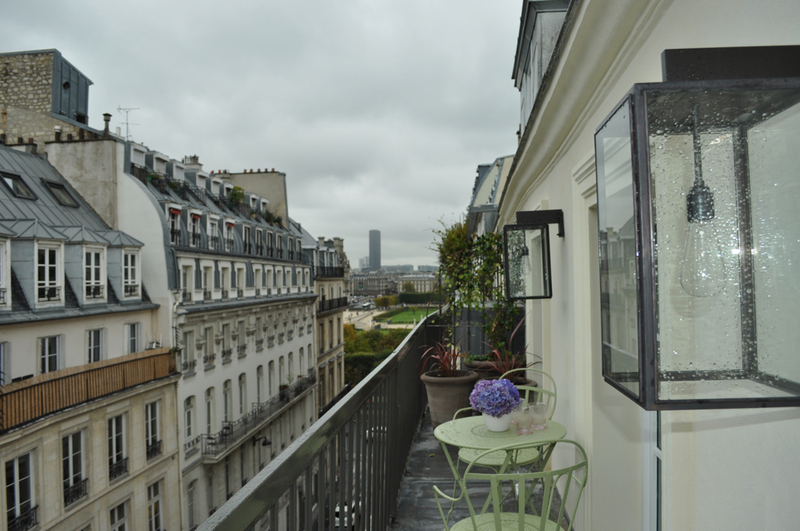 After a renovation that took more than a year, the small 28 rooms and suites hotel has just reopened (October 2011) with the theme of Paris. In the rooms you’ll find the colors and materials of Paris: the zinc of the roofs, the limestone of the Haussmann buildings, and even the white tiles so typical for the Parisian metro in the bathrooms. The rooms are sober, decorated with a lot of taste, quite small – and they start at 380 Euros a night. Or why not – if money isn’t an issue – a suite called the Grand Palais in tribute to the famous building of the Universal Exhibition? Why is Le Pradey so very Parisian? 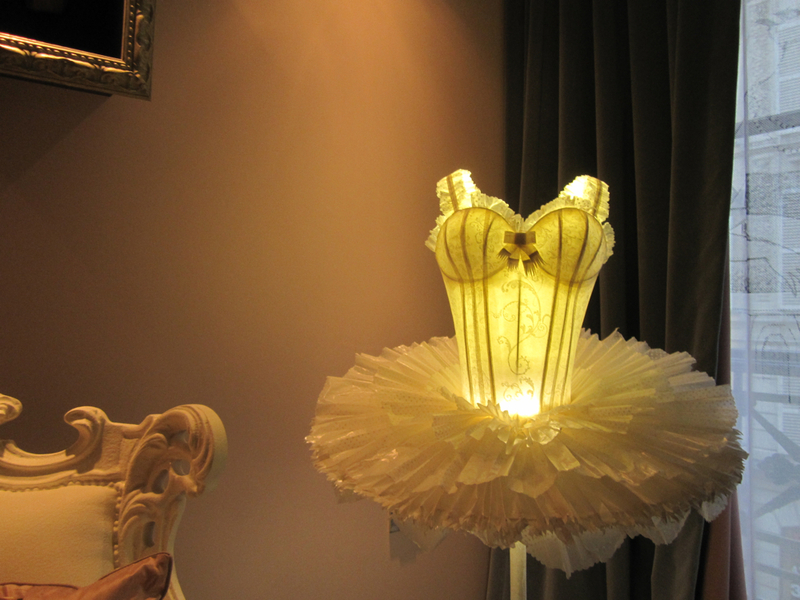 Because two suites are actually decorated by famous fashion designer and Queen of hot underwear Chantal Thomass. Whereas a whole floor is dedicated to the famous saddler Hermès. And these latter suites carry name of pride: Explorateur, Collectionneur, Carrés (just like the famous scarves). So whatever you look for: the sobriety of the Hermès suites or the sexiness of the Chantal Thomass ones – you’ll feel like a CEO type person at Hermès’ and like a courtesan in Thomass’ chamber, a rare sensation in a hotel, don’t you think? Le Pradey is perfectly situated just across from the Tuileries gardens, and still, I can’t help it, the hotel didn’t convince me fully. It’s about details, not the whole concept. The hotel lacks the perfection you might expect, and the rooms are really tiny. It is also lovely that you can use the spa “After the Rain” in the nearby Hotel Saint-James Albany, but when you pay 800 Euros for a suite – do you feel like crossing the street to get your facial? I’m probably a too typical Parisian: always finding the fly in the ointment. Don’t get me wrong. Le Pradey is perfect for a romantic getaway in the suite Cabaret. You even get some chocolates from the nearby chocolatier Michel Cluizel and a bottle of Champagne. Take advantage of special rates during the first weeks to discover the hotel. But still bring a lot of money.